Below is a chart showing the vacancy rate for single family homes, small multi-family buildings and a total of the two for Ada County. As you can see, both single family homes and small multi-family properties finished off the 3rd quarter right around 5%. First Rate Property Management has been fortunate enough to keep our vacancy below this average. If you look at the trend in the years prior, you’ll see that we will most likely see a spike in the 4th quarter. Below are the results from the rental survey. 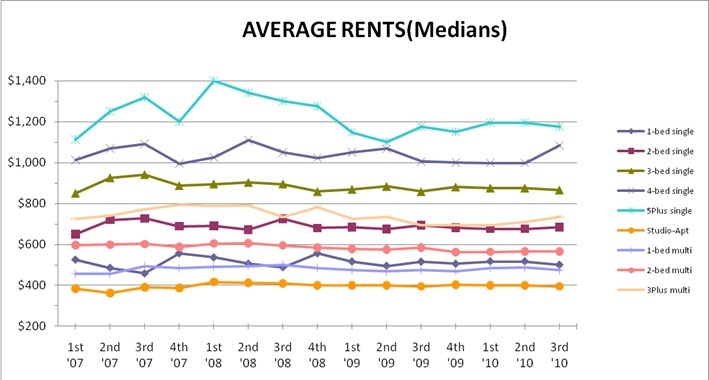 For the most part, rents have remained unchanged. 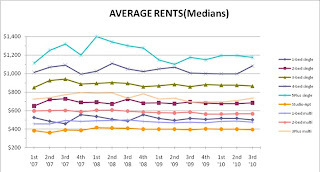 Again, in almost every category, FRPM’s rents exceed the average with the main exception being 3 bedroom multi-family. I think that the survey is skewed due to high-end condos or townhouses that should actually be considered as single family, not multi-family. But I don’t know that for sure. I hope you find both graphs helpful.